POPUPPUB.COM is a Donegal based company founded in February 2015 and are Ireland’s premier and premium Air buildings, specialists. Providing unique, fun and hassle-free venues for all occasions. POPUPPUB.COM is a direct reaction to Ireland’s changing social and economic climate. To claim to be a POP UP PUB we felt you had to be just that. A POP UP PUB! We won’t hire you an inflatable shell and expect you to sit on the ground with nowhere to prop your pint!! 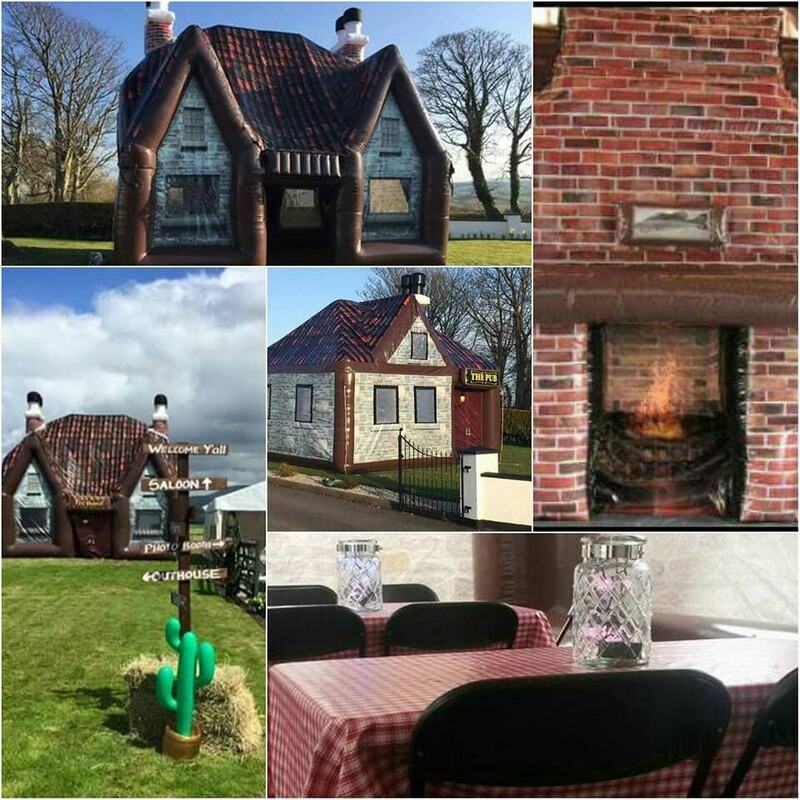 When you hire a POP UP PUB we are recreating the ‘Real Irish Pub’ experience in a location of your choosing. Removing the time costly hassle of organising the furniture, that’s why every unit is tastefully presented with flooring and lighting. Extras decor can also be arranged. Call us today on 00353 (0)872519106 for more information. 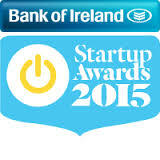 Bank of Ireland Start-Up national finalists 2015 and again in 2016 POPUPPUB.COM are working hard to bring innovative projects to the fore. POPUPPUB where ‘inflation’ is good! We are Popping up everywhere. What is an Air Building? 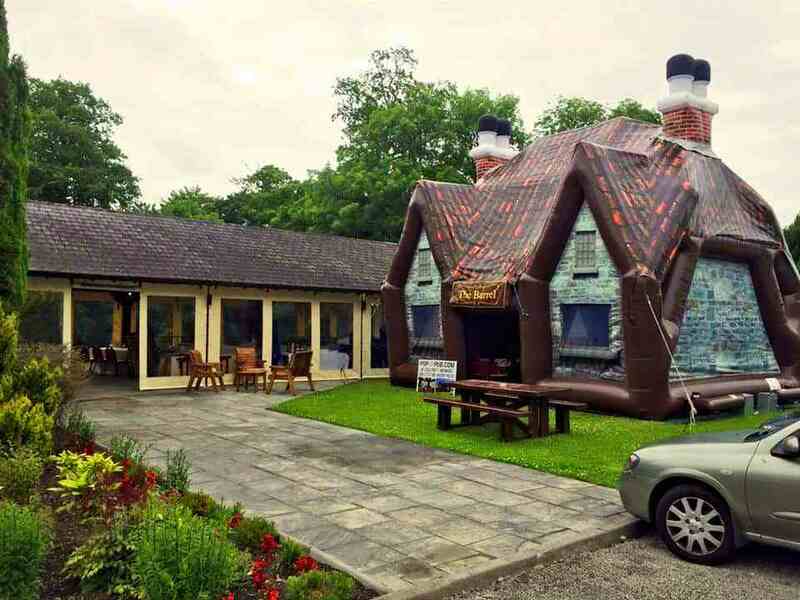 A POP UP PUB is an inflatable pub, yes. Also referred to in the industry as an Air Building. A tubular frame is inflated by constant flow inflation (or in sealed units) by air blowers just as one would inflate an inflatable game, bounce house or obstacle course. The sealed units can remain inflated for a period or one to two weeks once inflated. The ‘walls’ and ‘roofs’ of these structures are composed of digitally printed PVC material, generally attached to the frame using high strength Velcro. The adaptation of these units is a simple and cost effective process. Bespoke design and changeable art work renders these inflatables a marketers dream. Air Buildings are perfect for adding a little ‘wow’ to an event, trade show or festival. Sports teams, brands, seasonal themes all achieved cost effectively. POPUPPUB.COM has set out its stall from its conception as the premium brand. Offering superior manufacture, design and service. Many low budget tents have flooded the market recently and claim to offer the Pop Up Pub experience, however, even to the untrained eye, one has only to compare the print work alone to recognise the quality is optimal with a true Pop Up Pub Inflatable Pub. We strive to ensure a premium product and service as standard. Second- best is not an option.